Do you consider yourself to be innovative, logical and a critical thinker at all times? Do you thrive in the face of challenges and delight in meeting deadlines? Would you like to secure a career in a rewarding, rock-solid and highly-diverse industry area? If so, a career in supply chain and logistics management could be perfect for you! 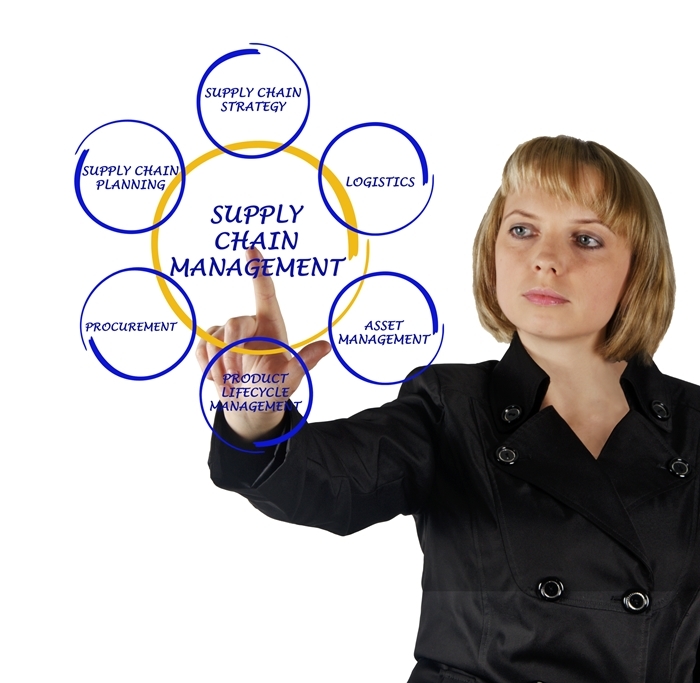 What Do Supply Chain and Logistics Managers Do? In the simplest of terms, supply chain management is all about ensuring that what is needed gets where it is needed, exactly when it is needed. It could be the supply of raw materials to a factory, the transition of products to a High Street retailer or the delivery of goods to the end-buyer. Supply chains are enormously complicated and consist of multiple operators, contributors and overseers, charged with the responsibility of bringing it all together. Logistics managers play an important role that is both heavily hands-on and administrative in nature. As the average supply chain is incredibly complex, management of all key duties can be highly demanding. It is a job that means comprehensively overseeing all in-house responsibilities and members of the workforce, while knowing what’s happening at every other key link in the supply chain. Those who enter the supply chain management profession at an entry-level can expect salaries in the region of £18,000 - £22,000 for preliminary supervisory roles. Managers at an advanced level routinely take home in excess of £45,000 per year, while executives and directors in the field can earn more than £100,000 annually. Supply chain managers need to be willing to get their hand dirty, as much of the job is very hands-on in nature. But at the same time, exquisite business and administrative skills are required to handle essential back-of-house duties. Most business supply chains and logistics service providers continue operating 24 hours a day, 365 days a year. As such, it is a profession where working hours tend to be dynamic and often unpredictable. On-the-job experience is essential for success in supply chain management, as is a strong theoretical foundation. A recognised qualification can make all the difference, when it comes to both securing that all-important first job and pursuing promotion. Here at Brentwood Open Learning College, we’re proud to offer an exclusive collection of high-quality distance learning programs, ideally-suited to existing workers and jobseekers alike. Our highest-level Logistics and Supply Chain Management Diploma is perfect for candidates who are serious about enjoying life-long success in this dynamic area of business. With a firm focus on inventory, this premium-quality home study course provides essential industry insights and a solid theoretical overview for newcomers and current workers alike. Our Level 3 Supply Chain Management Certificate provides an intermediate overview of the industry, which may prove helpful in pursuit of promotion or an entry-level first position. Study supply chain management at an entry-level, before moving on to higher-level studies or furthering your current career. Finally, our introductory Level 1 Supply Chain Management Course is perfect for those looking to lay a strong initial foundation for further exploration of the subject.